A few decades ago, Indian women preferred to buy jewellery from their trusted local jeweller, be it a personal milestone, an impulse buy or a wedding. However, recent changes in consumer habits have indicated a gradual shift to shopping for jewellery at national jewellery houses with thriving presence across tier I, II & III cities. In fact, India is the second highest consumer of gold in the world and one of the leading exporters of gems and jewellery in the world. Precious metal & gemstone jewellery market is huge in India and to supply the demand, there is no dearth of top jewellery brands. While the mom-and-pop jewellery stores abound and flourish, there are a number of national heavyweights in Indian jewellery space that are renowned for their exquisite, flawless & beautiful jewellery, setting international standards in gemstone and precious metal aesthetics. Be it daily wear, tribal, traditional, antique, bridal or fine jewellery, Indian jewellery houses are always giving their foreign counterparts a run for their money. We’ve put together a list of India’s top 10 jewellery stores, that are respected for the quality and designs of their products as well as impeccable service they offer to their patrons. A Jaipur-based jewellery house founded in 1978, Amrapali Jewels makes the world’s finest heritage luxury jewellery that is to die for. Named after a famous Indian courtesan/muse Amrapali, the jewellery house blends traditional Indian craftsmanship with heritage motifs by putting a contemporary spin on it, producing jaw-dropping gemstone masterpieces on silver and gold. While polki, panna, minimal as well as statement gemstone jewellery forms their signature collections, Tribe By Amrapali produces spell-binding fashion and tribal jewellery inspired by mythical and abstract art themes. If your palette inclines towards designer statement jewellery inspired by the effervescent Indian heritage, Tribe By Amrapali is the best jewellery store in India to shop at. They have stores in major Indian cities including Mumbai, Delhi, and Jaipur. A behemoth jewellery brand with 122 stores across India and the Middle East, Kalyan Jewellers have been in the business since pre-independence. 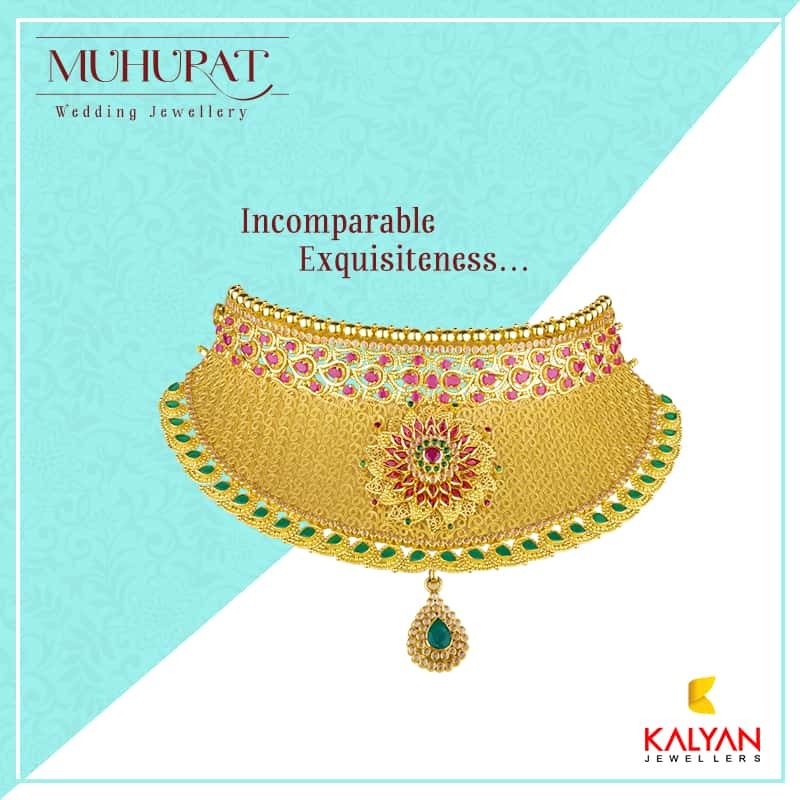 They have introduced Muhurat range for bridal collection in pure gold, diamond and handcrafted jewellery, Anokhi for uncut diamonds and Candere for precious diamonds. Their dancing diamond collection called Glo is a special innovation where suspended diamonds within the jewellery pieces ‘dance’ hypnotically. While some of their expensive and grandiose jewellery start from six digits and above, they also have affordable and contemporary daily wear collections for a low-key look. 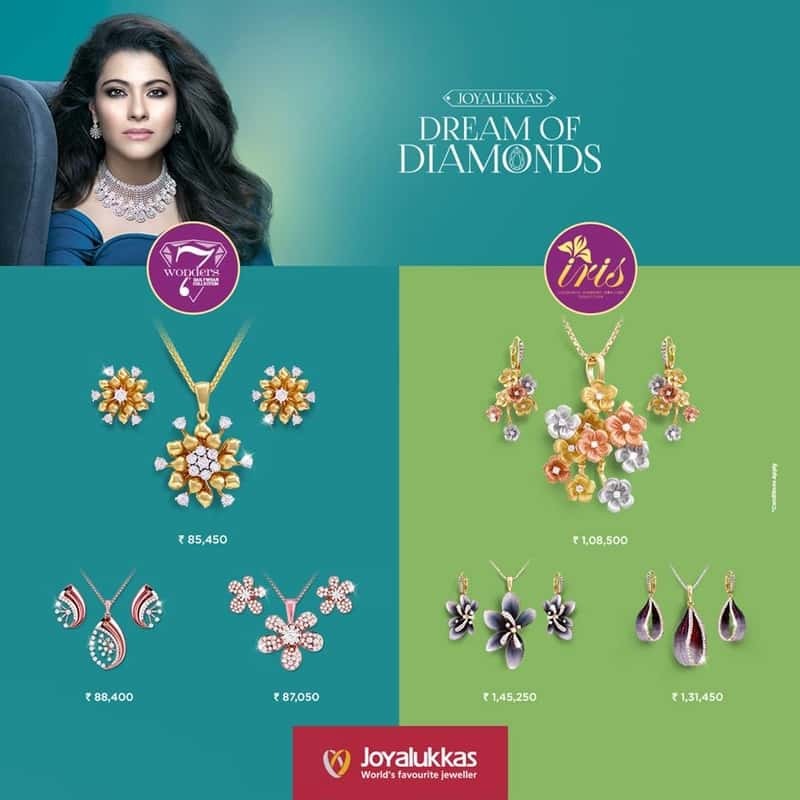 Kalyan Jewellers is the most trusted and visited jewellery brand in India for bridal jewellery, with loyalists who swear by their jewellery products. Amitabh Bachchan is the brand ambassador and his ads for the brand are eagerly awaited by fans. One of India’s topmost trusted jewellery brand with staggering turnovers, Malabar Gold & Diamonds was founded in 1993 in Kerala and has over 210 showrooms across 9 countries. They have the most comprehensive bridal jewellery collection mainly for South Indian brides, but also for brides from across all regions of India. 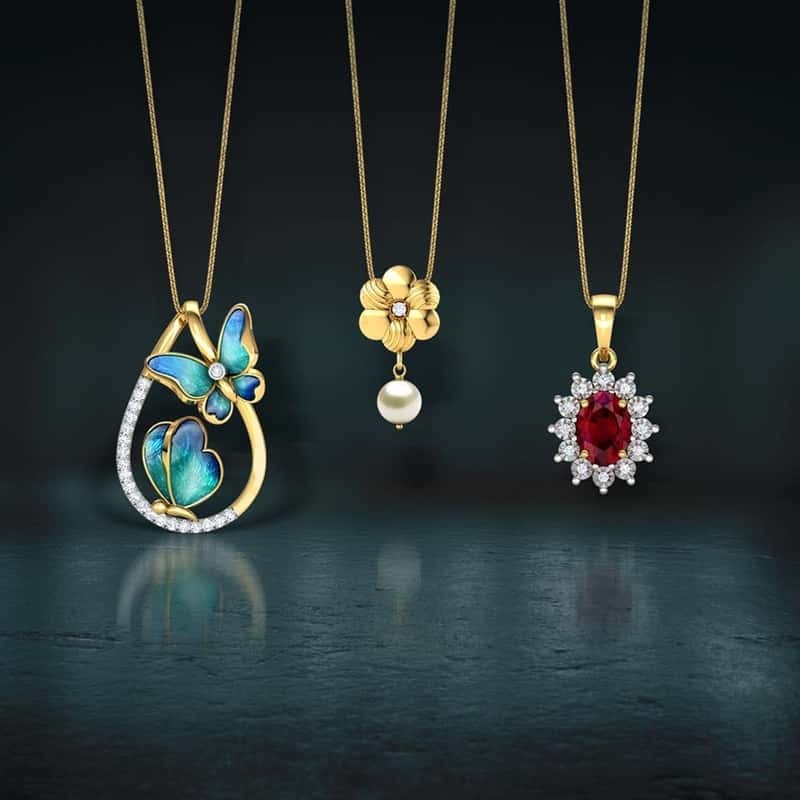 From stylish diamond and platinum jewellery for occasions, daily wear, office wear to heavily embellished gold, diamond and gemstone jewellery, Malabar Gold’s range of offerings is diverse and wide. Notable collections are Era for uncut diamond jewellery and Fior- floral-themed, elegant and dainty jewellery. Kareena Kapoor is the face of the brand. A division of Tata and one of the biggest Indian jewellery retail chains, Tanishq was founded in 1994 and boasts of 160 stores and over Rs. 10,000 crores in sales in the last year. The name of the brand was coined using ‘Tan’ meaning body and ‘Nishk’ meaning gold ornament. 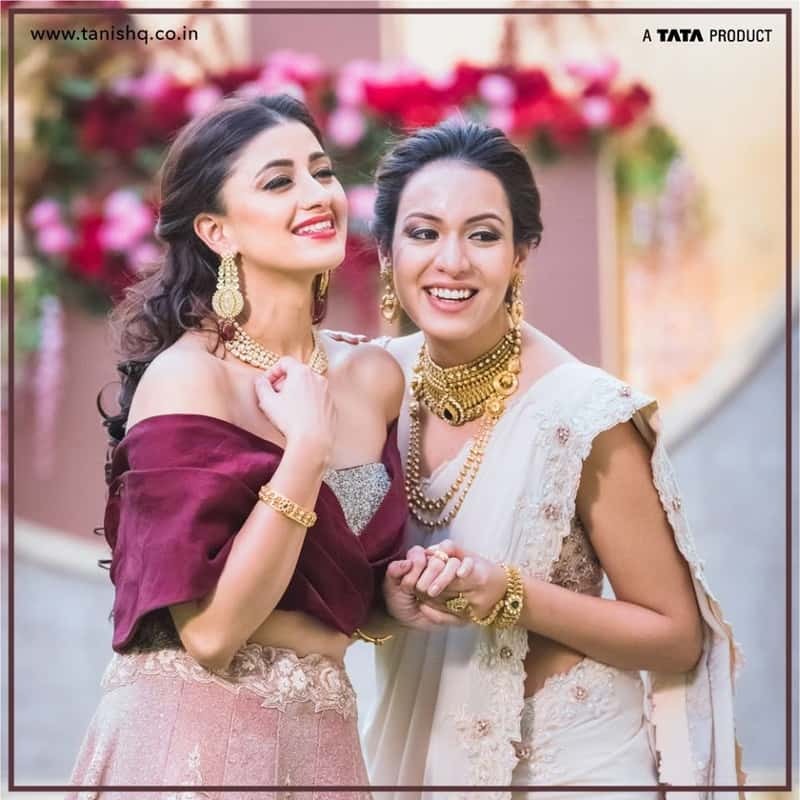 Tanishq knows how to woo women with Bollywood inspired collections like Padmavat & Jodha Akbar, traditional collections like Swarnam and Shubham, Mia for the cosmopolitan woman and Rivaah for the brides. Their wedding and engagement rings are highly sought after. Deepika Padukone is the brand ambassador. Tanishq’s advertising appeals to women for its fine balancing act, depicting the strength of a woman with her delicate nature, like high-quality jewellery. Founded in 1956 in Thrissur, Kerala, Joy Alukkas reigns the southern markets and has 140 stores across 11 countries. Their creations include expertly crafted traditional South Indian gold jewellery, including elaborate gold and gemstone jewellery for all occasions. Kajol is the brand face. Winner of several quality awards, including the Superbrand title, Joy Alukkas is a well-respected and well-known jewellery brand all across India. Incorporated in 2005 in Delhi, PC Jeweller has swiftly rose through the ranks of the Indian jewellery market and has over 94 stores in 74 cities. Their stores are often located in high street shopping areas and their jewellery repertoire consists of fabulous collections across price points, their expertise being diamond jewellery. They have excellent offerings in wedding and engagement rings as well as daily wear jewellery. Akshay Kumar and Twinkle Khanna are the brand ambassadors. Founded in 1938, Senco Gold & Diamonds is headquartered in Kolkata, with 91 stores across major Indian cities. Their gold and jewellery designs are artistic and their price ranges are suited for every social strata. Their bangles and earrings collections are splendidly designed and their cocktail rings are swoon-worthy. Their Everlite collection is a perfect mix of gold and diamond jewellery. Their brand endorser is Vidya Balan. One of India’s most trusted diamond jewellery brands, Orra needs no introduction. The brand is a go-to name for Solitaires, couple bands, stunning gemstone bracelets, Orra Crown Star collection (made with 73 facet solitaires) and the most amazing engagement rings for couples. They have 34 stores across 25 cities and their elegant, minimal ambience appeals to the sophisticated, modern woman of today. Orra offers custom jewellery options for every woman to indulge in the art of self-expression through jewellery. Orra’s designs are highly innovative in terms of framework and geometry and the brand is famous for bringing international jewellery trends to India with a twist of their own. 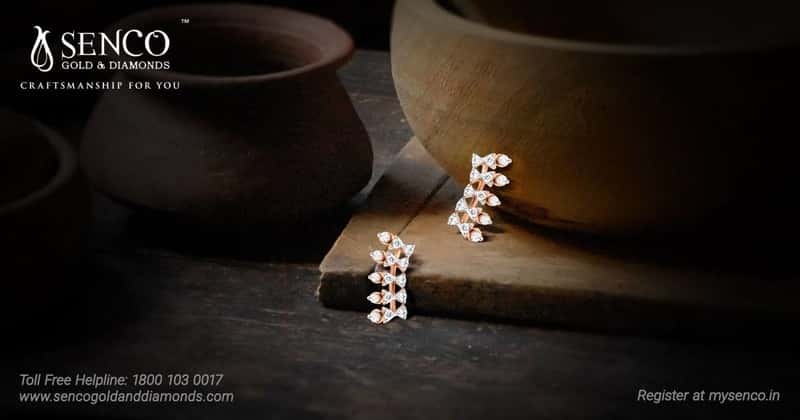 Another stalwart in the jewellery arena and the oldest on our list, Tribhovandas Bhimji Zaveri was founded in 1864, and since then it has garnered multiple accolades and tremendous consumer respect and patronage. They have 31 showrooms in 23 cities, including all metropolitans and a number of tier II & III cities. 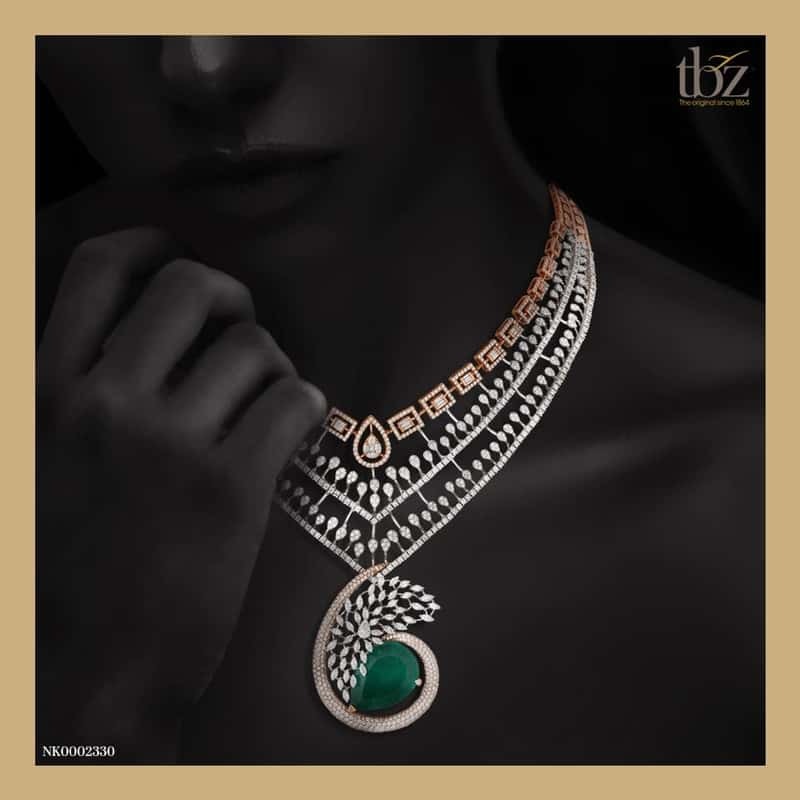 TBZ is famous for its resplendent Kundan jewellery, magnificent bridal collections, artistic festival jewellery, contemporary Italian jewellery collection called Ria, and the royal jewellery collection called Azva. When it comes to the sheer richness of craft and artistry, TBZ is at the forefront of quality and innovation. Primarily an online jewellery brand, CaratLane deserves to be on the list, not just for the growing number of their offline stores in the country, but also for the speed and effectiveness with which it has captured the contemporary Indian woman’s heart and mind. Stylish and affordable gold, and diamond jewellery for all occasions, the abundance of variety in ornaments, the expansive of jewellery catalogue for different psychographics, and highly creative collections like Bombay Deco (inspired by the city), Butterfly (colorful, elegant jewellery), and Madhubani (inspired by elements of nature), all wrapped up in a box full of trust and quality. They currently have 39 offline stores in major cities and expansion plans are underway. Shopping for jewellery at the top Indian jewellery stores will be a highly rewarding and enlightening experience for all jewellerista’s. These are India’s top jewellery brands that are a true reflection of India’s jewel supremacy, heritage craftsmanship, iconic design styles and tasteful creations of timeless beauty. 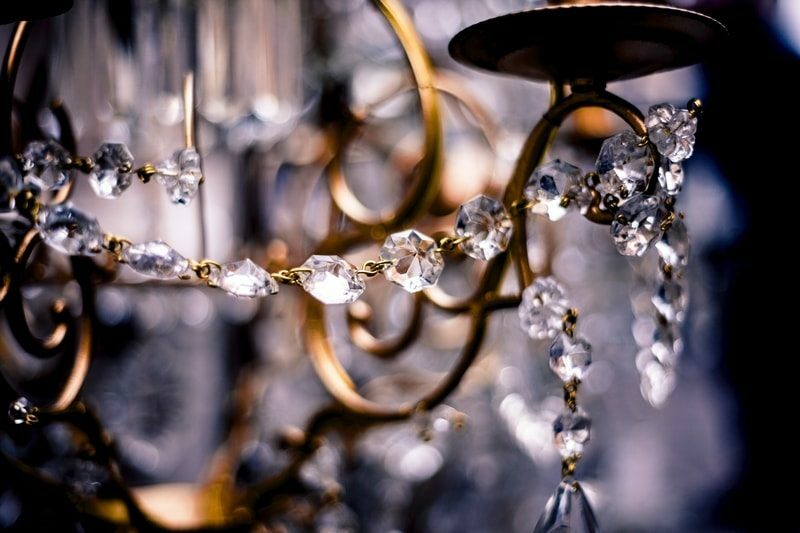 Which is your favourite jewellery store? Let us know in the comments below. Which is the best brand for promise rings in India? CaratLane, Candere and Bluestone have many varieties you can browse through online. You can also check for promise bands or eternity rings at your local jewellers. Brands like Swarovski have beautiful designs in rings that can be gifted as promise rings – these are also less expensive that buying the diamond variety. these collections are Love able and specially ORRA i think you should call it a love symbol. Thanks for dropping by! We love pretty rings too. Check out more fabulous rings in this guide to 10 iconic jewels. Buying gold and diamonds from smaller shops can be risky. I once bought a diamond ring only later to find out that the carat weight was highly exaggerated. Yup, unless you trust the jeweller it’s best to go to a known store. However, there are some ways to check whether the diamond you have bought is real. You can check out this guide on testing diamonds.